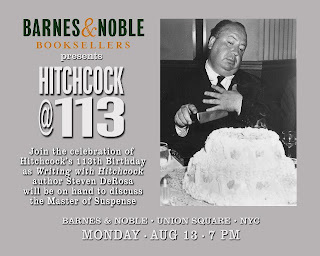 It's hard to believe that thirteen years have passed since what seemed like a year of centenary celebrations for Alfred Hitchcock in 1999. 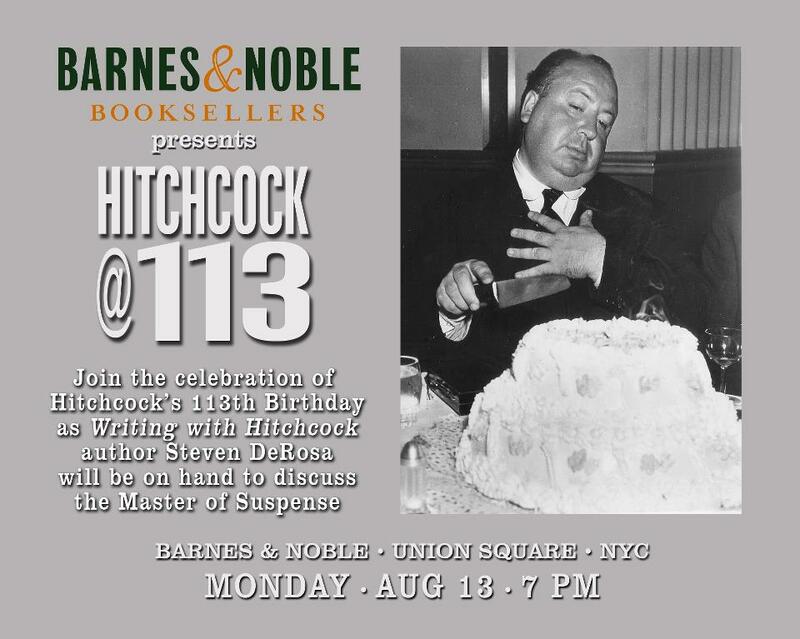 I hope you will come and join me as I mark Hitchcock's 113th at Barnes & Noble in Union Square. Having lived in Westchester County for a good part of my life, I've enjoyed the view of the Palisades, the cliffs that run along the Hudson River, for many years. Whenever I watch Alfred Hitchcock's North by Northwest, there they are, right out the window of the dining car on the Twentieth Century Limited as Cary Grant and Eva Marie Saint dance around the idea of her inviting him into her drawing room to spend the night. In this video I visit the Philipse Manor Train Station in Sleepy Hollow, just north of the Tappan Zee Bridge, which can also be seen in the film. It was here that the train makes an unscheduled stop and the New York State Police board in search of United Nations killer Roger Thornhill. What would Hitch be doing if he were alive today?